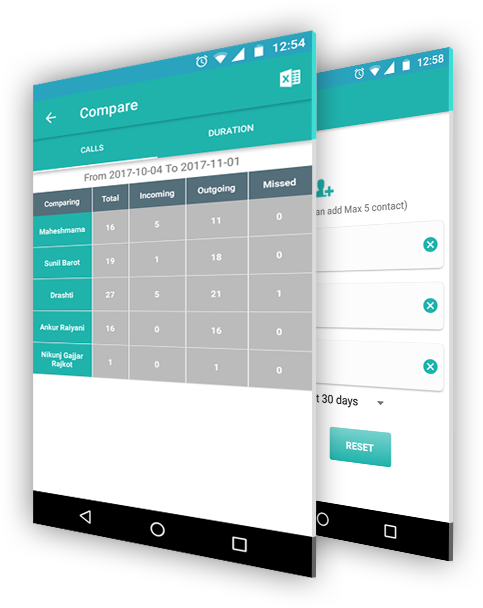 Callyzer helps you to analyze your call logs in detailed and statistical fashion which makes it effortless to examine and manage your call logs. 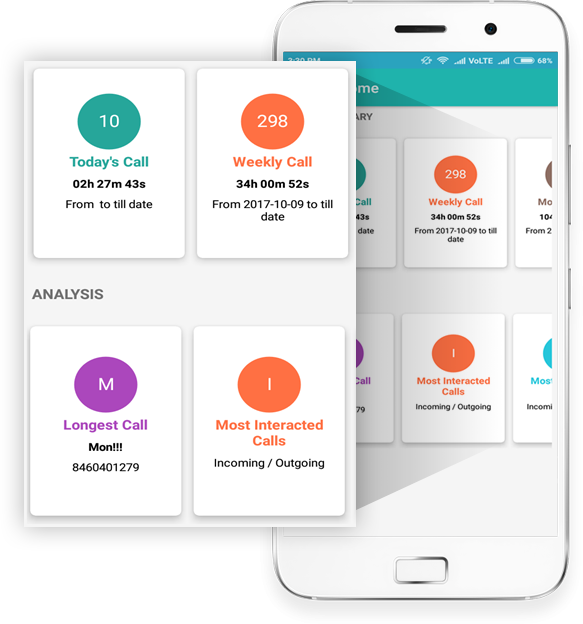 Allows you to Analyze by Top Count Caller, Longest Duration Call, Most Frequent Call and Most Interacted Call. 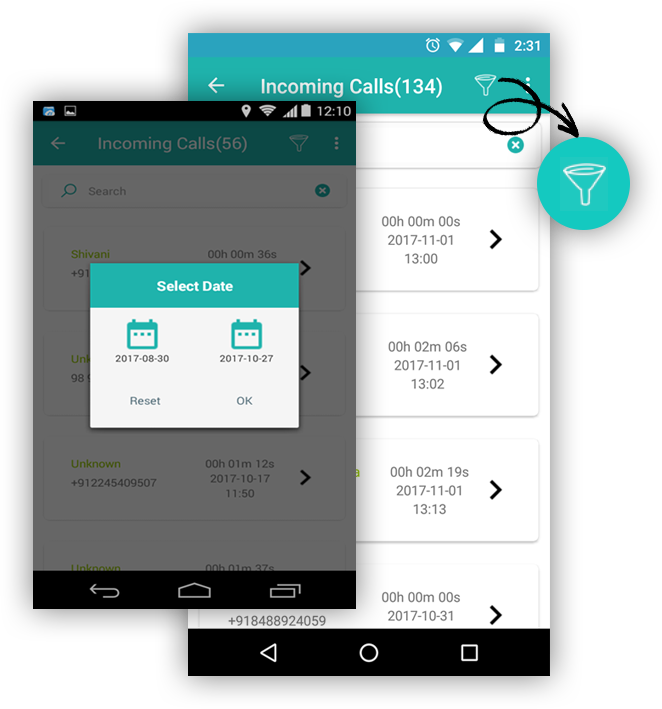 Advanced Date Filter helps you analyze and monitor calls for your required specific period. 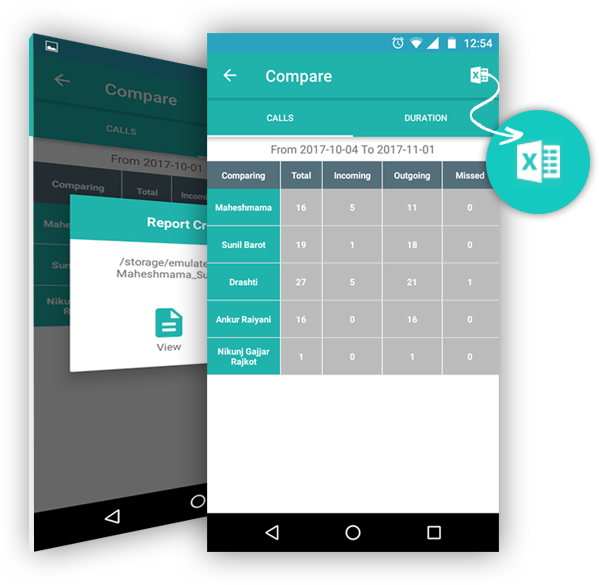 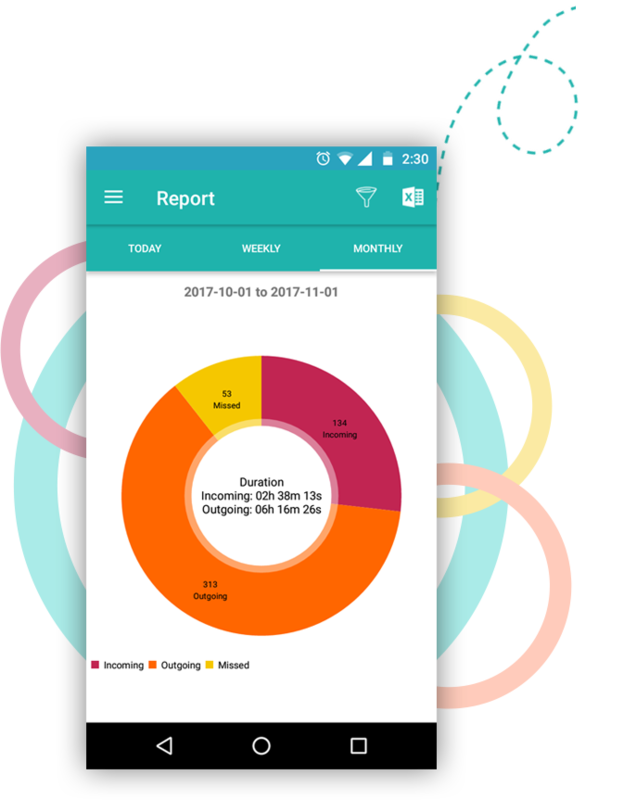 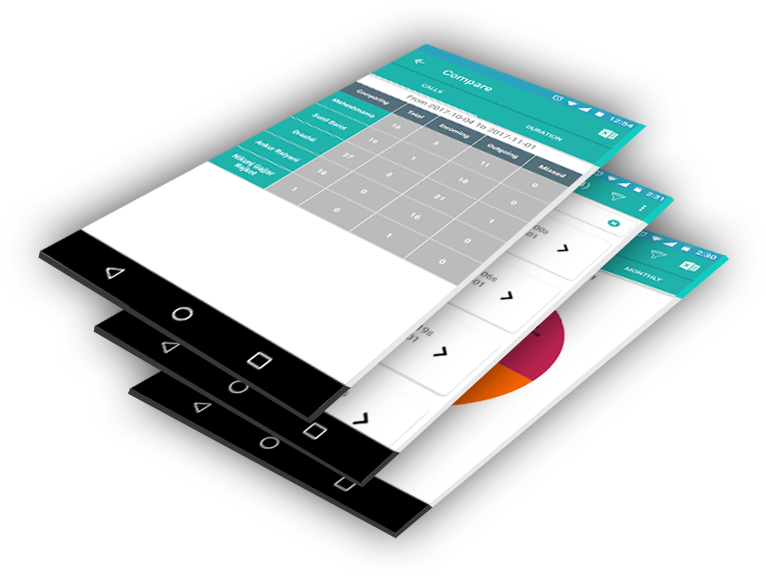 Callyzer helps you to analyze your call Reports in detailed and statistical fashion which makes it effortless to examine and manage your call logs. 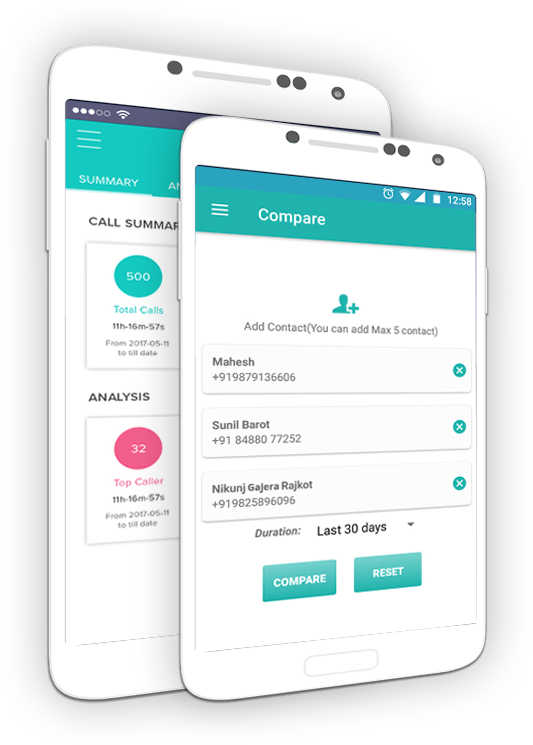 Pick Contacts from your phone book and view details of your interaction and compare them side by side. 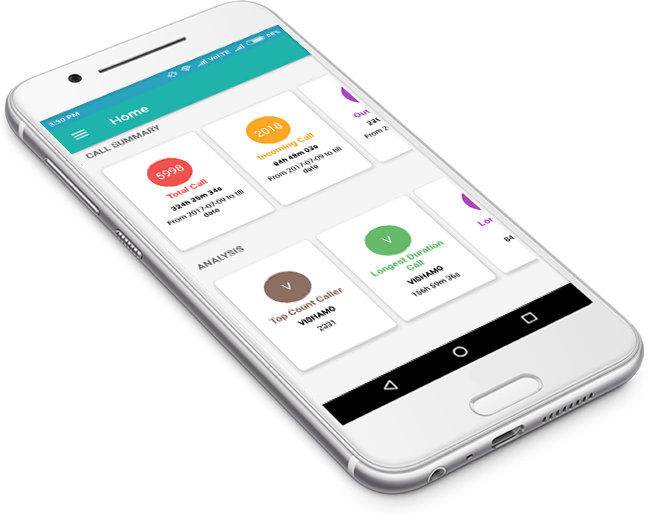 With Filter available, you can also Compare your interactions as per your required duration.